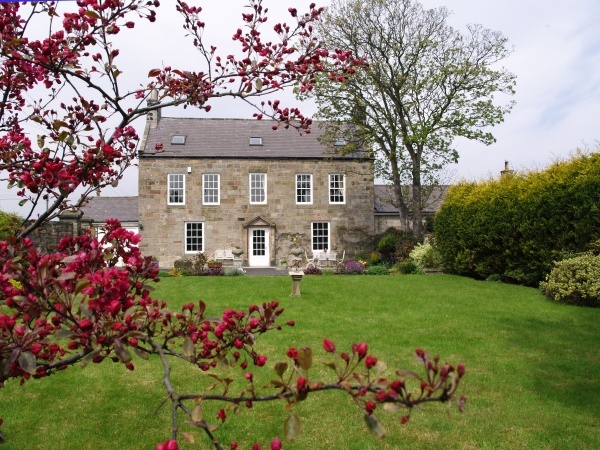 A beautiful stone built house in the ideal Northumbrian country village setting. Located on 'The Wynding' in Bamburgh, Wynding House is almost sitting in the shadow of Bamburgh Castle and a short stroll to the beach. With five bedrooms, three large bathrooms and a shower room this house provides very spacious living. Wynding House also has its own gated driveway, ample parking and a large wall-enclosed garden with outdoor furniture. The ground floor entrance leads into the lounge which has a stunning view of Bamburgh castle. 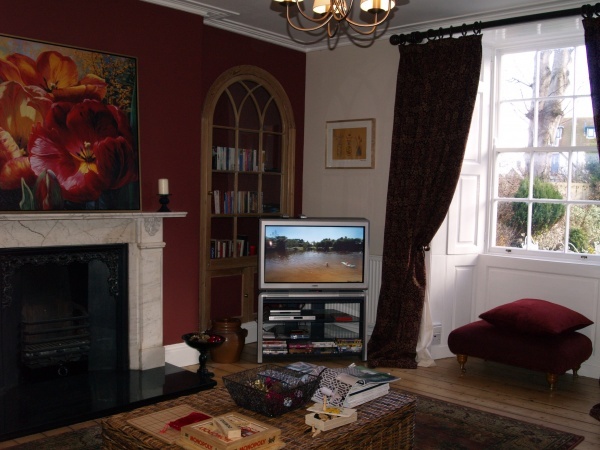 This room also features an open fire, original wooden window shutters, ample seating, a television with Freeview, DVD player and a large selection of DVD's, books and games. 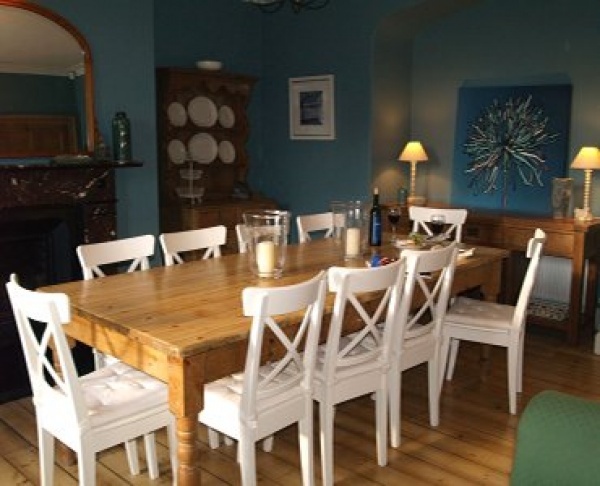 The spacious dining room has a second television, Freeview, DVD player as well as a fold out double sofa bed. The large kitchen benefits from under floor heating, a dishwasher, microwave and plenty of pots and pans. There is a breakfast area which seats between six and eight people and leads on to a utility room with second sink and washing machine/dryer. The ground floor also encompasses a shower room and WC. There is a large family bathroom on the first floor with both free standing bath and walk in shower. The first floor also comprises a master bedroom with ensuite bathroom and a kingsize bed, a second bedroom with kingsize bed, and a very pretty single room. These bedrooms overlook the garden and also have raised views of the Castle. The second floor comprises a kingsize room with two single beds and a double bedded room with futon. Both of these bedrooms share a family bathroom with corner shower and freestanding bath. Each room has been tastefully decorated in soothing, muted shades and furnished with luxury and comfort in mind. 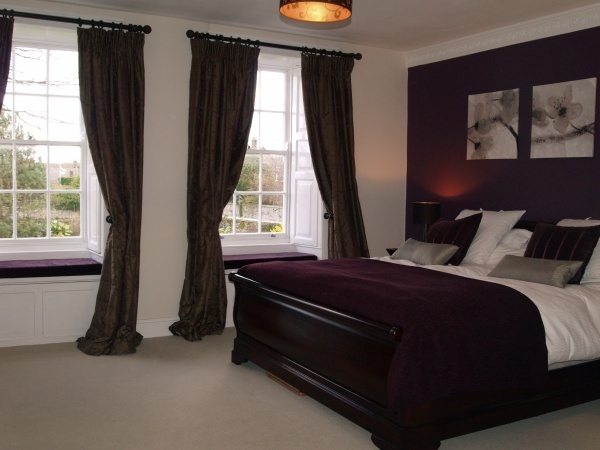 Lavish linens and soft furnishings have been carefully chosen to compliment the property. Also upon request and additional costs apply: private chef, guided Northumbrian safaris, food delivery, weekly maid services, mid week linen change, a local team on hand should you require any assistance.